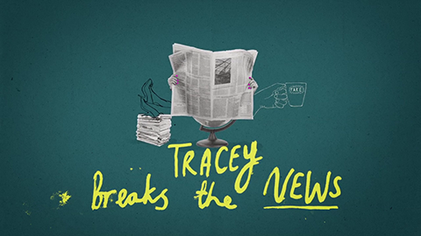 Tracey Ullman is back with her unique comic spin on the headlines, including her impressions of politicians and celebrities. Jeremy Corbyn has an awkward meeting with an old friend, Europe's beige-est leader Angela Merkel wonders about her image, and Rupert Murdoch spends some quality time with his main squeeze Jerry Hall. Plus, brand new for this series are the ever-so-trustworthy Michael Gove, as well as the hilarious new double act of Jacob Rees-Mogg and his long-suffering Nanny.